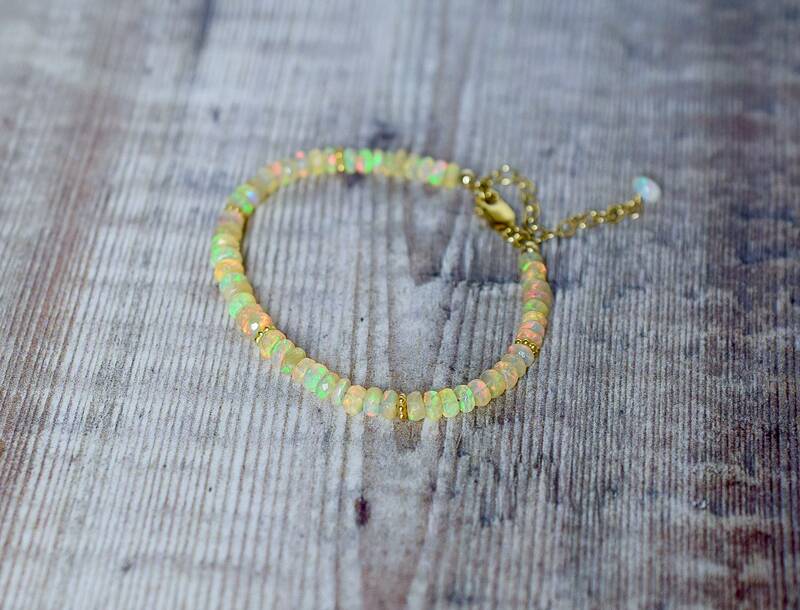 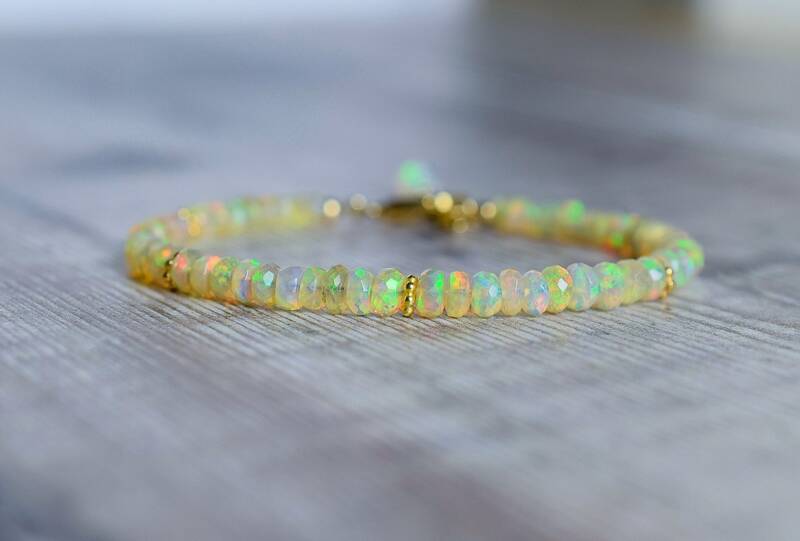 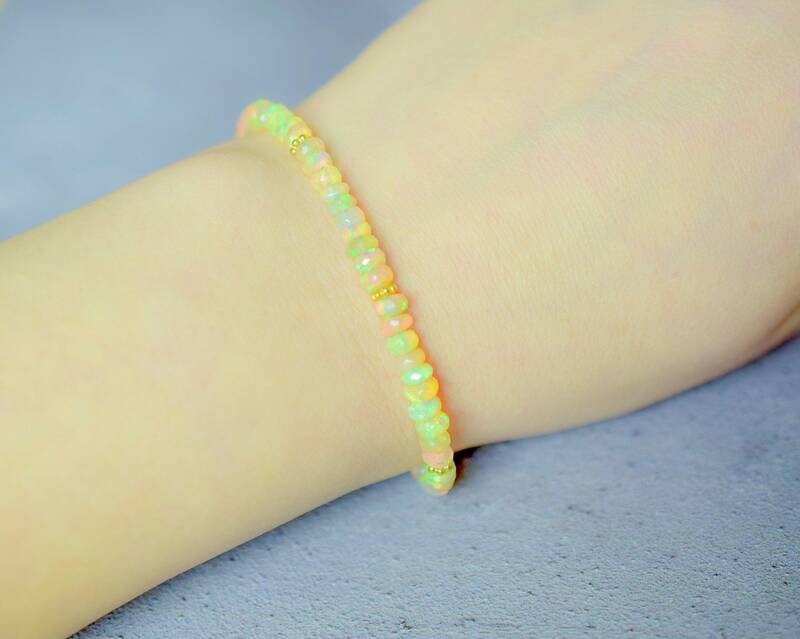 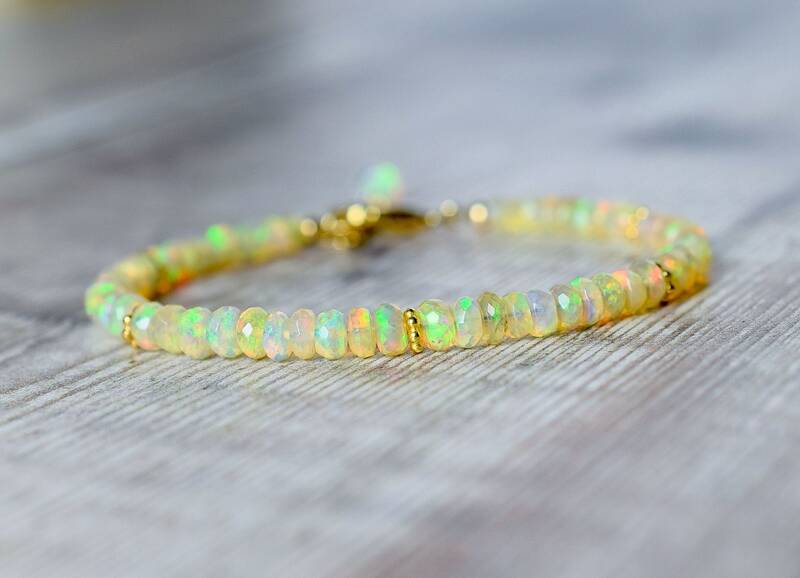 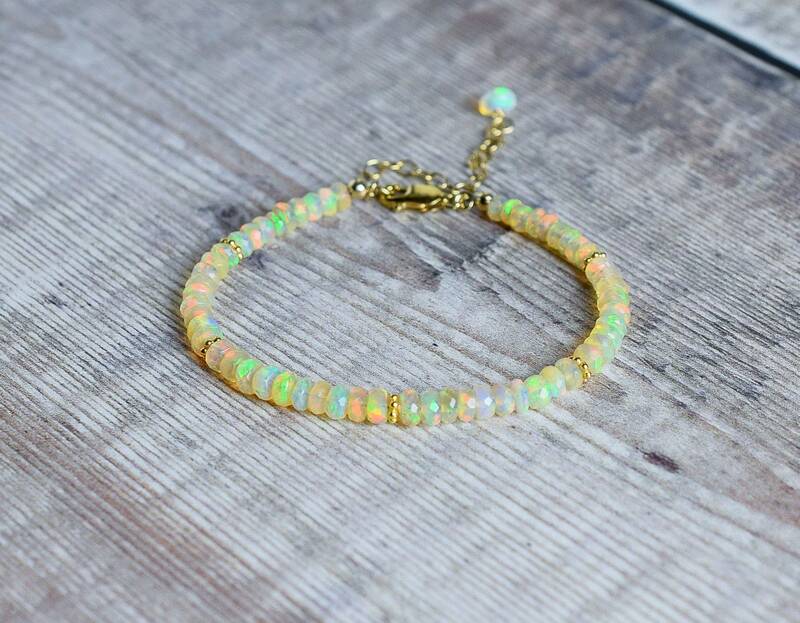 This beautiful Opal & gold bracelet is strung with incredibly fiery Ethiopian Opal rondelles that are bursting with flash and colour! 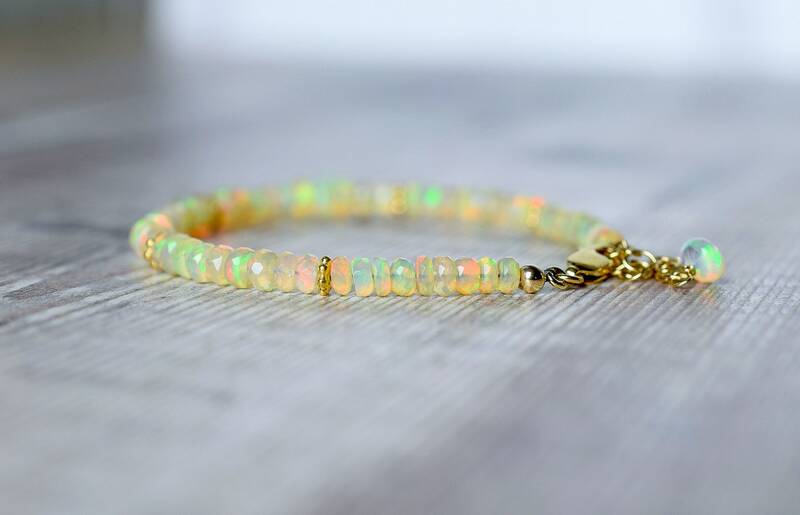 The Opals are accented with Gold Daisy spacer beads and fastens with a 14k gold filled clasp. * The Opal beads measure 4-4.5mm. 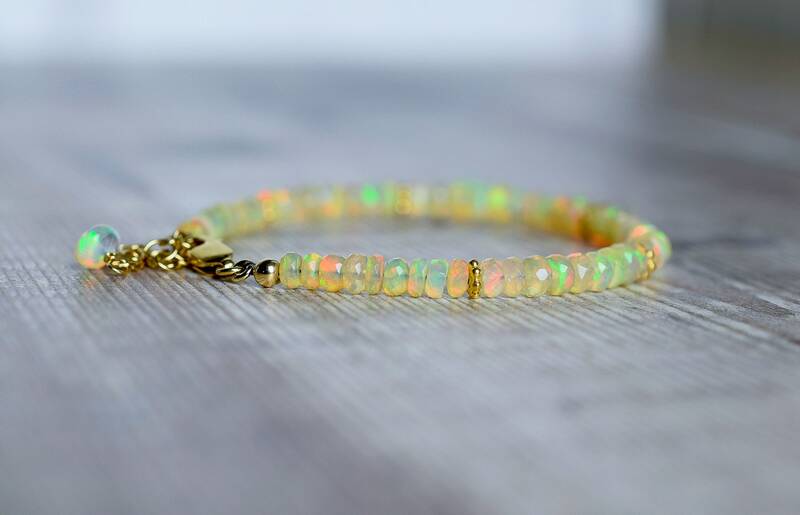 * 14k Gold Filled Extender chain measures 1", 2" or none.